“I’m so proud of Anderson in his last fight,” Jones told MMAjunkie. “He did so well. I am so proud of him. He has nothing to be ashamed about. He went against a young, hungry challenger, and he just proved his greatness. That performance, to me, was nothing short of great. 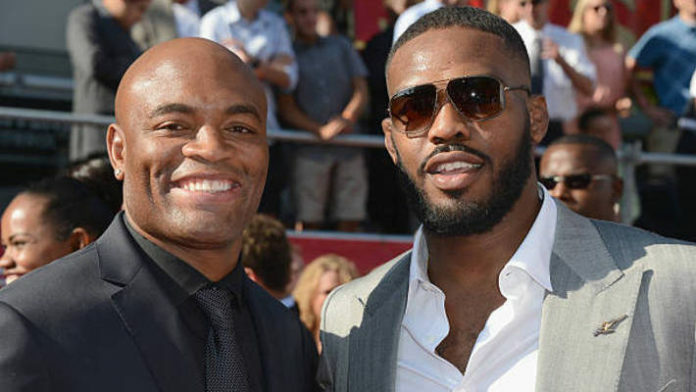 “As an Anderson Silva fan, that’s exactly what we want to see. That was so beautiful. I’m so proud of him. “That loss against Israel I think was great for his stock,” Jones said “As an Anderson Silva fan, would I like to see him get his hand raised? Absolutely. But hats off to Israel for being so exciting and keeping the fans excited and having his own torch. Do you believe Anderson Silva’s stock rose after his UFC 234 main event against Israel Adesanya?